Kevin Lea of Calvary Church of Port Orchard wrote a report regarding the "Grand Lake" mediation controversy conducted by Pepperdine University's School of Law. 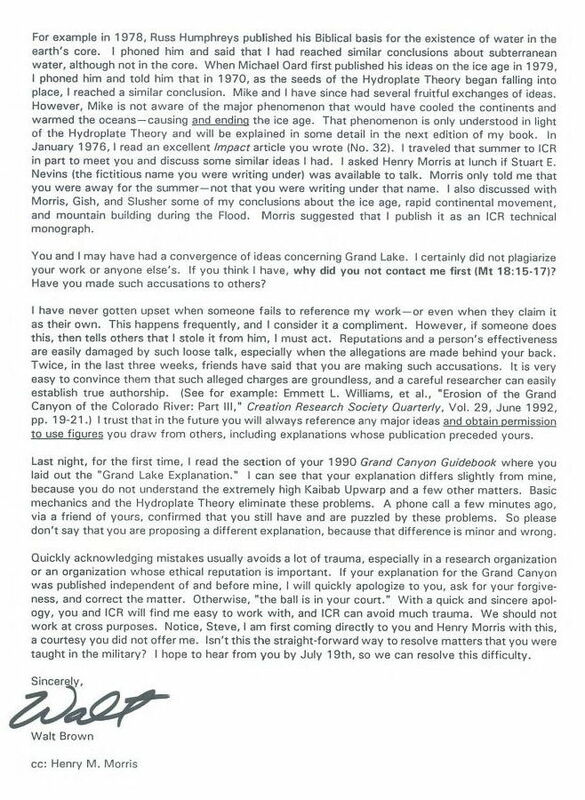 In his report (which is part three of a series with earlier parts not addressing this mediation) Pastor Lea links to the original documentation. 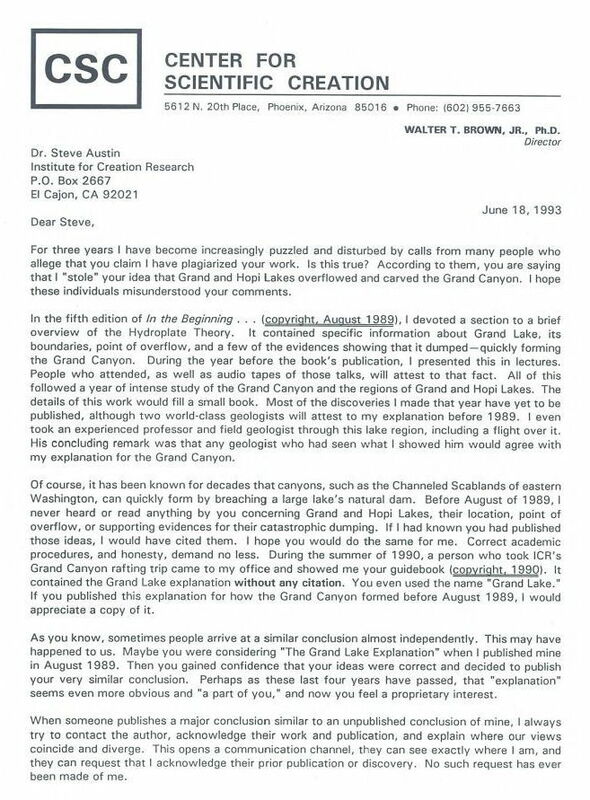 The mediation was intended to resolve the accusations of plagiarism being leveled at Dr. Walt Brown regarding Brown's own discovery of where a former lake once sat. He named that body Grand Lake (which contained a volume of water greater than Lake Michigan), discovered its 5700-foot elevation, and the breach point where it spilled over its southern boundary and then carved out the Grand Canyon. We plan to soon extract additional links from within Kevin's report and paste them below for easier access.